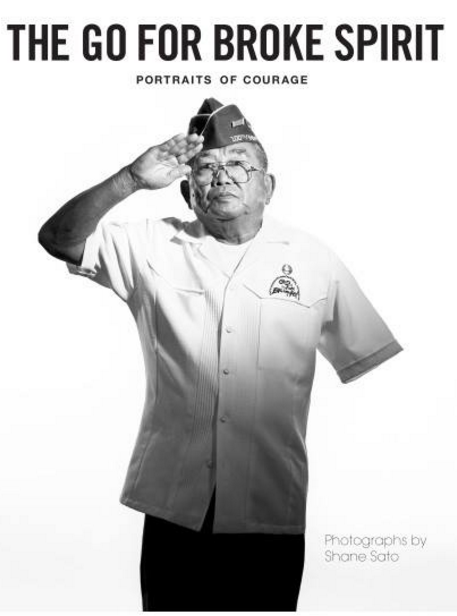 GLENDALE — Shane Sato and Robert Horsting will give a presentation on “The Go For Broke Spirit: Portraits of Courage” on Sunday, June 3, at 2 p.m. at the Downtown Central Library, 222 E. Harvard St. in Glendale. Sato is proud to talk about his new book of Nisei soldiers’ portraits, which was over 15 years in the making. The portraits and accompanying stories bring out the emotions and the turmoil of prejudice and fear after the bombing of Pearl Harbor. His photography truly captures these men in an artistic range of emotions, touching on what they must have felt at the time — sadness, fear, strength, duty, success, just to name a few. These soldiers fought for a country that did not fight for them. They fought when their families and friends were held in prisons called internment camps. Why did the Nisei do that? What became of these men? How are they now portrayed in American history? Through his portraits, Sato provides us a glimpse into these men’s lives. For the writing of the personal stories, he was joined by oral historian and documentary filmmaker Horsting, a Glendale resident. Not trying to make a history book, Sato wanted to keep the writing very accessible, to “talk story” and share the men’s life experiences so that their accomplishments are not forgotten. Sato will be speaking about his portrait style, the photographic process, his hardships and success stories, and the actual making of the book. He and Horsting will read a couple of the stories from the book and be available for a short Q&A, as well as a book-signing. Sato has spent most of his career working in publicity and advertising in the U.S. and in Asia. He has worked in many aspects in the Asian American community, photographing for movies, magazines, and events for over 30 years. Being born a Sansei to Nisei parents from Hawaii and the mainland has given him a unique perspective for his Japanese American World War II veteran portrait series. He continues to work in his Los Angeles Arts District studio. Sato is currently wrapping up photography on the second volume of the book. For more information, visit www.thegoforbrokespirit.com. Horsting has worked with Sato over the past three-plus years as his camera assistant, oral historian, and co-writer in this successful effort to produce the first book and looks forward to sharing more of the Nisei veterans’ legacy in the upcoming second volume. An Emmy, Edward R. Murrow and RTDNA Unity award-winning producer and documentary filmmaker, he has been a volunteer with the Go For Broke National Education Center’s Hanashi Oral History Program (Goforbroke.org) since 2001 and has helped to record nearly 250 Japanese American World War II and Korean War veterans’ stories from across the country. The book will be for sale on-site. This is great chance to see and hear about these men and their American success story, and get an autograph in your own book. This program is in conjunction with ReflectSpace Gallery’s “Accused of No Crime: Japanese Incarceration in America” exhibition, which is on view through July 8 at the Downtown Central Library. Visitors to the library receive three hours of free parking in the MarketPlace parking structure on Harvard Street with validation at the library service desk on the main floor.